2,136 sq ft; lot: 10019 sq ft - MLS# 1621843 Courtesy of Shorewest Realtors, Inc. 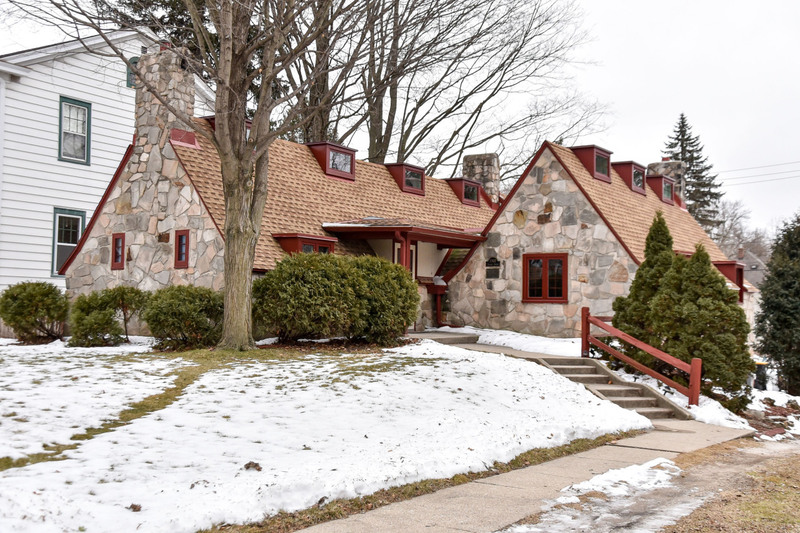 Unique opportunity to complete renovations for this Ernest Flagg designed 1925 Tudor Revival Stone home on the National Registry in desirable Wauwatosa! New Pella windows, furnace, water heater, rough electrical, rough plumbing for bath on first floor and flat roof in last two years. Future plans to be living room with cathedral ceiling, dining room, kitchen, two bedrooms and full bath on main plus two bedrooms, den and walk-out in lower with potential for 2nd full bath. Building materials on site included. Two car garage all set on a beautiful large lot. Not for conventional financing.